The Jarvis Model 50CL – hydraulically powered forequarter and loin dropper. • The 50CL quickly and easily severs the loins or forequarters from beef carcasses. 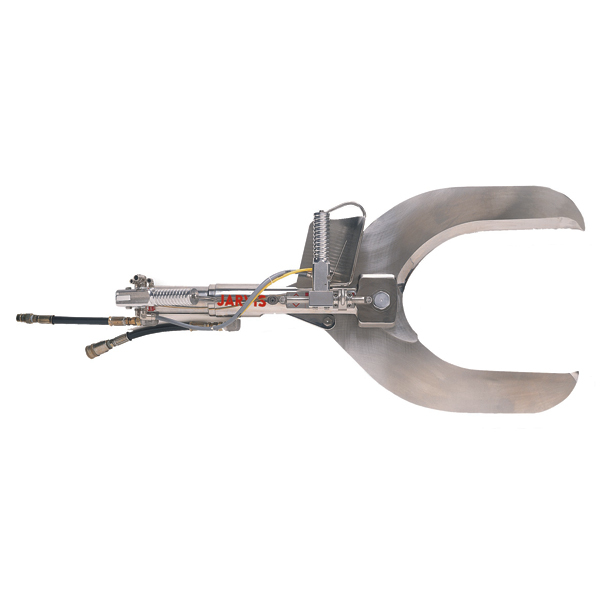 • Fast – a single operator can handle up to 400 carcasses / hour. • Designed for optimum handling and maneuverability. • Robust stainless steel construction, including solid stainless steel blades and single piece clevis for best possible hygiene and low maintenance. • Greasable pivot points for extended life.